A report on the PI9CAM website forwarded by PE0SAT describes how Triton-1 was recovered with the help of the 25 meter dish from PI9CAM. On November 29 we had an exciting day at PI9CAM. We were asked to rescue a satellite! 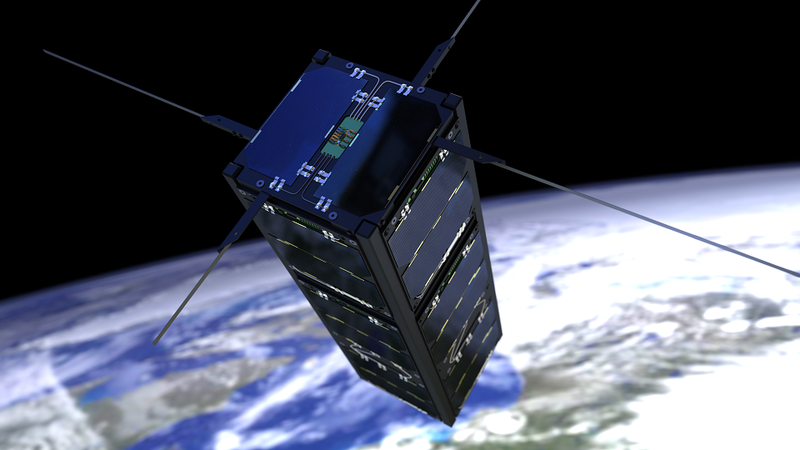 On November 21, 14 satellites were launched. 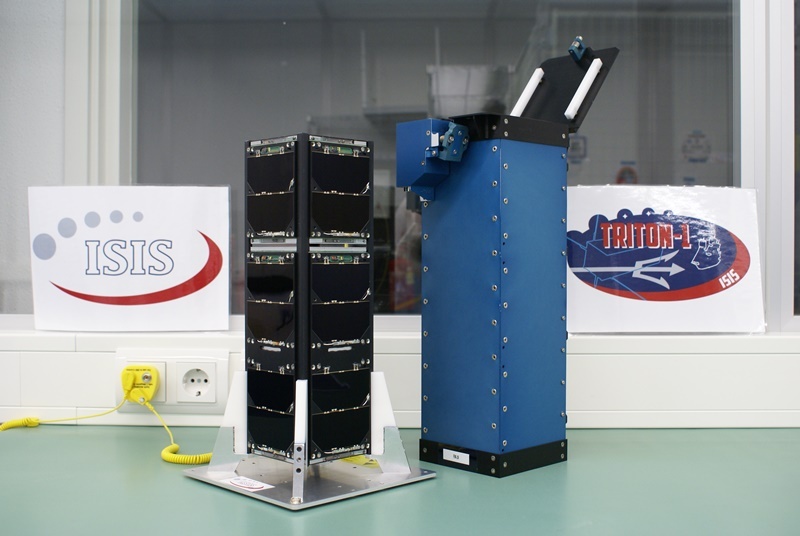 One of them is TRITON-1, built by the Dutch ISIS group. First all was OK, but when a transmitter was switched on to keep the temperature on board high enough something went wrong. Harmonic noise of that transmitter desensed the receiver in such a way that the command station could not get any commands into the satellite…. 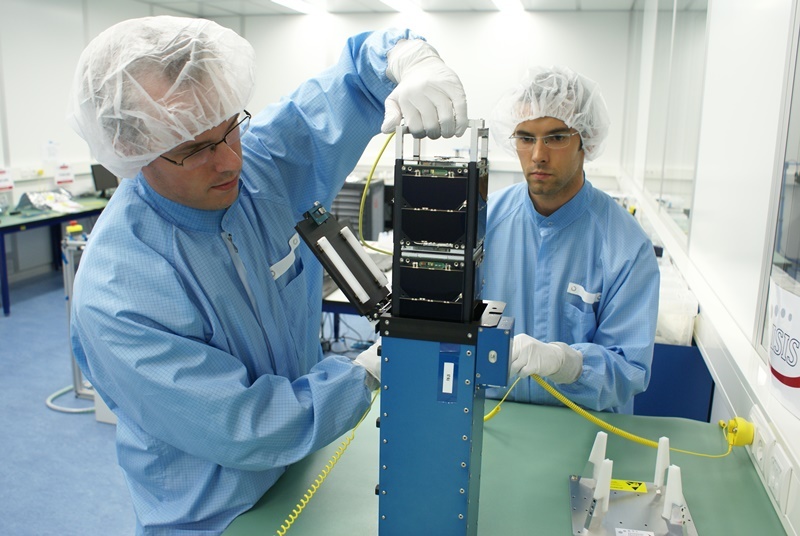 To try to regain command over the satellite PI9CAM was asked to help. The link budget predicted we might just be able to ‘cut through’ the noise with our 25 m dish and 400W on 70 cm. So people from ISIS and CAMRAS met in Dwingeloo at PI9CAM in the early morning of November 29. Mr. Murphy decided to join us that day…. First we found out that we connected the wrong cable up in the focusbox when we last worked on the frontend. So we had no power on 70 cm…. It was raining and there was strong wind but the only way to get this right was to go up to the focusbox at 15 m high with the elevator…. We worked as fast as we could to prevent much water going into the focusbox. I have never been so wet…..
Due to this we missed the first good pass of the satellite…. During the second pass the wind was really strong and probably because of that something went wrong when the dish started tracking the satellite at AOS. It more or less was blown into maximum safety position. This can only be reset by doing manual elevation. So we lost the second pass and two people got very wet by elevating the dish manually. But again we managed…. The third pass was only available at 21.00 so we had a lot of time to test tracking and to play with the freshly installed satellite tracking software. Even a few bugs were found and removed going through the software. At 21.00 we were ready for it and everybody was very tense…. As soon as the satellite was above our TX limit of 10 degrees elevation we started transmitting. After 10 seconds we received good news from the ISIS ground station. 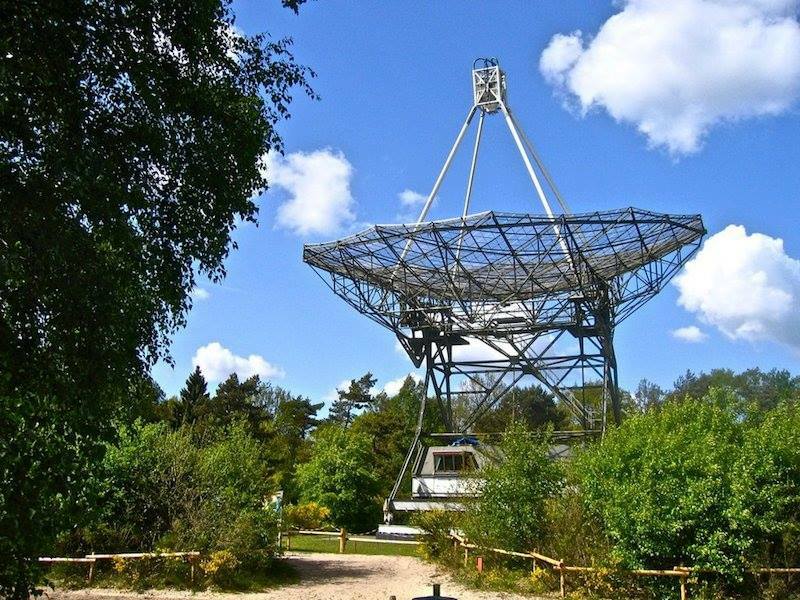 We successfully switched off the transmitter of the satellite and the groundstation had control over the satellite again! Everybody was very happy! We even had some champagne to celebrate this successful collaboration! And we were all very proud of ‘our’ 57 year old and restored dish. Old, but still going strong! Thanks to PE0SAT for passing on this information.